Sam: I’m a Londoner, a music lover, a science enthusiast, and a girl who would really like to be allowed to live in a bookshop. Siiri: *tries to hide her girl crush after that introduction* *ahem* Why did you start blogging? Have you changed a lot throughout it? What kind of advice would you have for people who are thinking about picking up blogging? Do you have any blogging inspirations who you look up to? Sam: Goodreads was the spark for me. Before Goodreads, I had no idea I enjoyed talking about books so much – and to strangers, no less – and it was the first real platform I used to voice my opinions. From there, I discovered book blogs, and Heidi at Rainy Day Ramblings who suggested that I should start my own site. I simply thought, why not? I love to read, and a book blog seemed like the perfect place to document that. I think, since starting, I’ve changed in two main ways; being more confident in my writing and reading more often and more widely. The only piece of advice I have for new bloggers is to keep in mind why you blog. If you blog for yourself, be confident enough to follow your own rules. There are hundreds of book blogs out there, and it can be easy to get caught up in trying to stand out or meet expectations. The most important thing is to have fun at every step. There are SO many bloggers that I admire (I follow exactly 70 of them regularly), and I hate this question, because I can’t mention them all. But to name a few: Christina, Nick, Danielle, Amanda, Alexa, and the ladies who have inspired me from the very start, Maja, Heidi, Keertana, Rachel and Jasprit. Siiri: And I thought I followed a lot of blogs! You're a champion, Sam! Are you an organized reader? Tell us a little bit about your blogging habits. Sam: I am a fairly organised reader (sometimes to the point of obsession). I make myself lists, pay attention to release dates, and nearly always know what I plan to read next. Other times, I am a total mood-reader and will throw organisation out the window and read whatever I want whenever I want. When it comes to blogging, I definitely take this latter approach. I don’t plan ahead or schedule very often, and simply just post when I have something to post. Siiri: This is where we differ since I plan almost next to nothing with reading (*waves* A mood reader alert! ), but I schedule a lot. Can't really live without scheduling anymore. I admire both people though: the ones who schedule and the ones who don't. It takes a lot of work either way. What is your favorite and least favorite thing about blogging? Sam: My favourite thing about blogging is BY FAR the other bloggers. The number of people in my life that read as much as I do is equal to zilch, and so, to have this whole community of passionate booklovers online is a real gift. I’ve met some incredible individuals through blogging, and have formed some invaluable friendships too. And let’s be frank, book people are the best people. My least favourite thing about blogging is the formatting and coding. Does that count? Technically, I don’t always need to do this stuff, but I do it anyway for perfection’s sake, and I hate it with a passion. I can’t see the letters HTML without throwing daggers from my eyes. Siiri: Bhahahaha! HTML is one of our worst enemies. But yes! The friendships we make are so worth all the stress that we may have to suffer and overcome. No question at that. How many books do you own and do you categorize them in some ways on your shelf? Sam: More than I will ever have the energy to count! I have about twice as many ebooks too, which is a pretty scary thought. I used to categorise by genre and author, but now, it’s simply a case of double-stacking and squeezing thin paperbacks into every available space in any which orientation. One of these days, my bookshelves will collapse and there will be tears. Loud ones. Siiri: Ahhh!! Double stacking is the worst! It has come to the point where I have to triple stack and seriously? It hurts to my very soul. Here's to hoping your shelf will live at least a few more years unless you decide to buy one before. What are your favorite genres and who are some of your favorite authors? 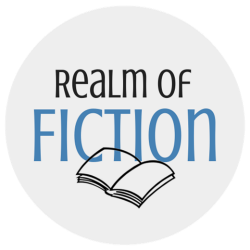 Sam: I like a lot of different genres – science fiction, romance, horror, paranormal fiction – but my go-to genre is definitely fantasy. Some of my favourite authors include Melina Marchetta, Elizabeth Wein, Leigh Bardugo, Markus Zusak, Laini Taylor, and since The Scorpio Races, Maggie Stiefvater. Siiri: When I think about you (and Mel), I always think of fantasy and vice versa :) I’m a big shipper and I almost always ship a pairing in a book I’m reading. Do you have any OTPs? :D If so, why do you like these pairings so much? What makes them special? Siiri: Just when I thought I couldn't adore you any more, you point out 5 of some of my favorite ships! So in love with T&W, L&C (Cricket!!! ), G&R, G&B (Gansey. Le sigh. ), C&C (*swoons over Chaol*). Or all three indeed haha! Ok, so if you could have dinner with 5 authors/characters, dead or alive, who would they be and what would you ask each of them (without spoilers, of course)? Mrs. Weasley. I’d ask her if she would like to adopt me. Lucy Christopher. I’d ask her what a certain character from Stolen was doing now. Sarah J. Maas. Simply: WHY? Marie Lu. I’d ask her if there was ever a moment when she considered a different ending to the Legend trilogy. Ronan Lynch. I wouldn’t ask him anything. I’d just stare at him in awe and wonder how he ever ended up having dinner with me. Blogger or Wordpress? Blogger, if only because I find it easier to use. Physical books or e-books? Both! Music or no music? (while reading) Music. Triangle or no triangle? NO triangle. Ever. All triangles must die. Cliff hanger or no cliff hanger? No cliffhanger. It is better for my health. I have a snake phobia. My second-greatest ambition in life is to visit The Wizarding World of Harry Potter. I kid you not. Siiri: YIKES! I hate all kinds of snakes and spiders and ugh.. *shudders* all kinds of bugs, actually. The other day last week, I went to a zoo in Riga, Latvia with my mom and sister. Really don't know what I was thinking going into a tropical house. AGAIN. Ew. That place was so grose. For me only though >.< Anyhooow, bilingual? Wow! I didn't know. What other language do you speak? It's always so fascinating to hear that people are bilingual and with different backgrounds and whatnot. Eeeep! YOU MUST GO THERE, SAM! Take all the pictures and show us. Pour jealousy all over us and give us all the HP feels :) I'm sure you'd love it there! Fingers crossed you can go there someday! It's always so interesting to learn more about other bloggers, thanks for sharing the interview! Sam is amazing :) I'm also a reader who likes to make lists, but often I pick books up because of my mood. HTML and me.. we are sworn enemies, haha. Sometimes I manage to work with it, but most of the times looking at it makes me want to weep. Yeay to fantasy! Funny that you mentioned me out of the blue, Siiri! Chaol and Celaena shipper! I picked the same answer for This/That! I like slow-burn romance, cliff-hangers are bad for me and I always have music on the background when I read. I NEED to visit HP world to complete my life, haha. This was really awesome! Nice to *meet* you, Sam. x) 70 blogs though??!! Super blogger alert! And omg, I would ask Sarah J Maas the same thing...and also just stare at Ronan. But I think I'd be marginally terrified of him more than actually enjoying meeting him. lol That boy is craaaazy and awesome. YOU are a rockstar, Siiri. Thank you so much for interviewing me! I had a lot of fun answering the all questions. And totally honoured to be featured on your wonderful blog. :) *waves* to everyone else! Yes. Just yes. I still need to read The Rephaim and meet Gaby and Rafa, but I've heard such good things and know I'm going to love them as much as everyone else does. I already knew Sam was all kinds of awesome, but this just gave so much more insight into her and made me realize how similar we are when it comes to books. I love the questions you ask and the answers are awesome :) Great interview Siiri! Oh yay! You're right, Siiri, Sam is fantastic! I love learning about other bloggers and loved seeing what she had to say. And Sam, I'm terrified of snakes too! And, we're giving our kids a trip to Orlando, FL for Christmas this year. I may never, never ever leave Harry Potter World. Ever. No. 1 reason why I may or may not have a girl crush on Sam.. she makes lists for reading! :P I am a pretty organized reader too except when I throw it all out of the window. I mean with arcs I am organized to the boot but for other books, I usually decide a couple hours before that I want to read 'this' book. With blog posts though, I am never scheduled in advance. I mean I was when I was 'gone' but I usually schedule a review in the same week. Of course, since I do have a review schedule I kind of do have an idea what to post though :P I can be a little crazy though. I see 3 of my current ships are on your list, Sam :P Plus JONAH AND TAYLOR FTW. Also Rafa and Gaby better sort out their relationship (I so badly want to know what happened in the past!!!! I think I have an idea although I am not completely sure). Fantastic interview. I adore Sam and her blogging style. It is such fun getting to know the blogger behind the blog. Great story on how you came to blog. Sam is one of my favorite bloggers! I really admire her professionalism and her eloquence. Her reviews are concise and to-the-point, but they really give you what you need to know about the book; but what I really admire about her is how sweet she is! She takes the time to respond to each and every comment - even though she gets so many! - and her replies are always meaningful and informative. FABOULOUS interview, Siiri! I sniggered a LOT. And obviously fantasy is my go-to genre, so I share the love for almost all of the mentioned books/authors (and the "almost" part is only if I haven't read them yet). Oh, and I'm a TOTAL mood reader. I keep trying to stick to a schedule, but if I'm not feeling any of the books when their date rolls up, it's not happening . . . and so far . . . it hasn't happened, LOL. And I want to see the bookshelves that allow for triple stacking. I'm double-stacked, there's no more room, and I'm reduced to creating massive stacks of books behind doors and other random places . . . Thanks for this lovely interview, Siiri! I LOVE these interviews! I am learning so much from all of you, especially that Sam and I are BFFs when it comes to our favorite authors and the couples we like. Though I haven't read THRONE OF GLASS and I'm afraid of that series. But I'm with Siiri in being 100% a mood reader. I do try to stay on top of what I have to review, but I am very bad at making myself read something I don't want to pick up. Also, YAY for no love triangles. I LOVE your advice about blogging - do it for yourself and be confident in that. It IS easy to get caught up in what everyone else is doing, feeling behind or like you're not doing enough. But being part of this community is wonderful. I always feel such warm fuzzies after reading these posts.